Gut news, muzikanten! Ja, ja! Ze mutantz have been almost kompletely destroyed and soon ze city can returnen to ze normal civilized life! Ve have made ze fantastischen expirementen in our scientifik laboratory, usink sadistic methods on ze poor mutanten and now tvo of zem are almost good memberz of ze society, ja! A little bit nicht alive, however - zombiez. Our glorious - vat is English for der Bürgermeister? Ah, ja, Mayor - haz decided to give zeez zombiez to ze most successful muzikanten: one zombie servant goez to the one who hunts most mutantz and ze ozer zombie servez ze muzikant vho vins most tournamenten! The contest begins today, 4th September at 3PM GMT and ends on Tuesday, 8th September at 3PM GMT. Shall several players share the highest result, the winner will be picked randomly and the other candidates shall receive incentive prizes. 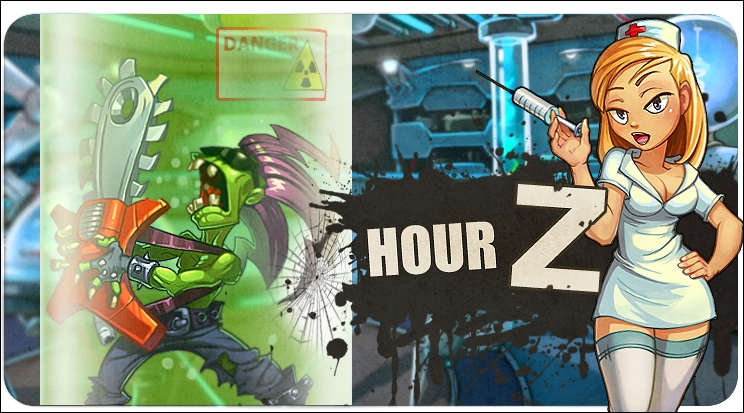 Dear players, it's time to reveal the winners of Hour "Z" contest. The absolute winner of slay the mutants nomination is Miller with 427 mutants slain. Next to him are Prifect (206) and Negus (103). The tournament winners are Just King and NAYANA with 7 wins each. As it was announced, in this case the winner is picked randomly and it is NAYANA. Just King receives a lesser prize: Ammo box! Thanks to the participants and good luck with the upcoming contests!